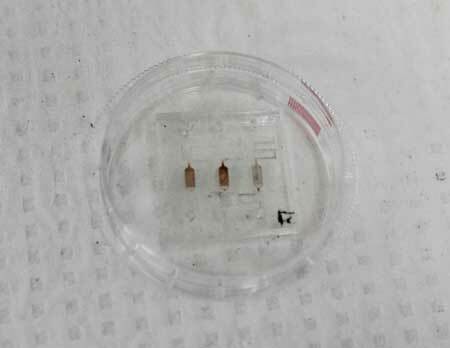 (Nanowerk News) A new type of "lab on a chip" developed by McGill University scientists has the potential to become a clinical tool capable of detecting very small quantities of disease-causing bacteria in just minutes. Mahshid and her team, who just published their work in the journal Small ("A Hierarchical 3D Nanostructured Microfluidic Device for Sensitive Detection of Pathogenic Bacteria "), now hope to test their device on clinical samples, a necessary step before doctors are able to use such a device in a hospital setting. Theoretically, this new lab-on-a-chip, which is relatively inexpensive and easy to make, could also analyze samples from urine, blood or nasal swabs.